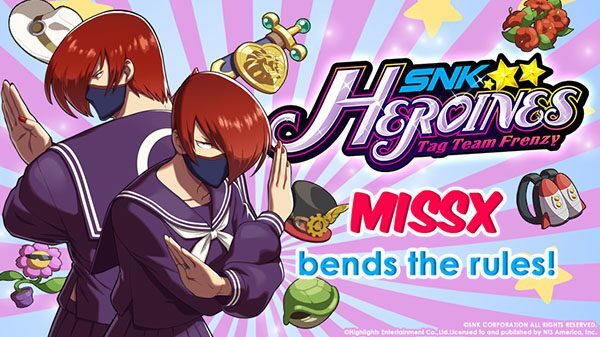 SNK Heroines Tag Team Frenzy probably won't repeat Arc System Works' missteps with BlazBlue Cross Tag Battle. SNK promises a "full game" at launch. The largely popular fighting game series BlazBlue has recently received a large amount of criticism directed towards the upcoming BlazBlue Cross Tag Battle, when developer Arc System Works revealed plans to have a twenty-character roster for the game with a planned twenty DLC characters, one of which would be Blake Belladonna from RWBY. In response to negative feedback, the developer retracted their announcement and revealed that both Blake Belladonna and Yang Xiao Long would be available for free. Ultimately, the cause for concern was that fans believed they weren’t getting a full game at launch. 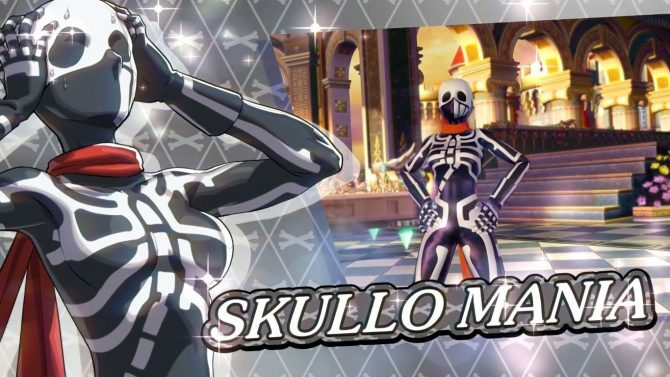 DualShockers had the opportunity to sit down with SNK Heroines Tag Team Frenzy producer Yasuyuki Oda and designer Kaito Soranaka to ask how the team at SNK would approach DLC characters announcements for their upcoming fighting game. Soranaka-san’s reply indicated that they’re learning from BlazBlue‘s mistakes. As a follow up to the question, NISA Senior Product Marketing Manager Travis Shrodes added that there are no DLC announcements at this time, but they do intend to release a “full game” at launch on disc and cartridge. 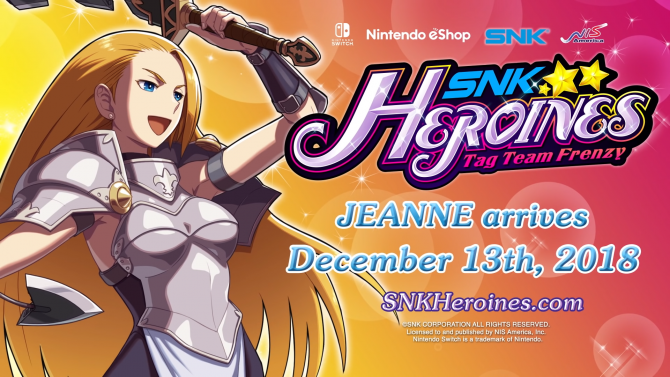 SNK Heroines Tag Team Frenzy features popular female fighters from the SNK library in a 2 vs. 2 fighting game. Players are able to activate special moves by pressing a single button if they so wish. The game can be played online and include multiple modes including a Story Mode and Spectate mode, where players can wager in-game points on who will win a match. Points can buy voice clips, accessories for costumes, and other customization options. In case you missed it, a new trailer was recently released showing gameplay and a few of the playable characters. Today we also got another trailer showing the inevitable costumes. SNK Heroines Tag Team Frenzy is coming to PlayStation 4 and Nintendo Switch in 2018. Our full interview with Oda-san and Soranaka-san will be published soon, so stay tuned.